For its inaugural edition, Paris Internationale featured 41 select exhibitors made up of 34 galleries and 7 non-profit spaces from 13 countries. 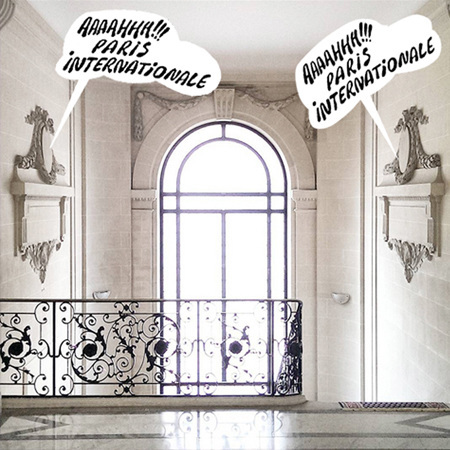 The event took place at 45 Avenue d'Iéna, situated between the Palais de Tokyo and the Arc de Triomphe. In addition, Paris Internationale hosted a live program curated by Vincent Honoré and a daily talk program curated & moderated by Spike, Berlin. In collaboration with the Fondation d’entreprise Ricard, Spike has organised a series of conversations circling around the structural pressures affecting cultural production today. One result of this new situation is an increasingly prevalent understanding of the structure of an art practice as as a format in itself, rather than the artwork or the exhibition. Each of the two-person conversations in Spike’s space at the fair will be moderated by the magazine’s editor at large, Alexander Scrimgeour.